The Winterset Rotary Club has hosted an international exchange student in the Winterset School District for 24 of the last 25 years. What a wonderful streak of learning and friendship this program has created through the years! Many families continue to stay in touch with their students long after they’re gone. 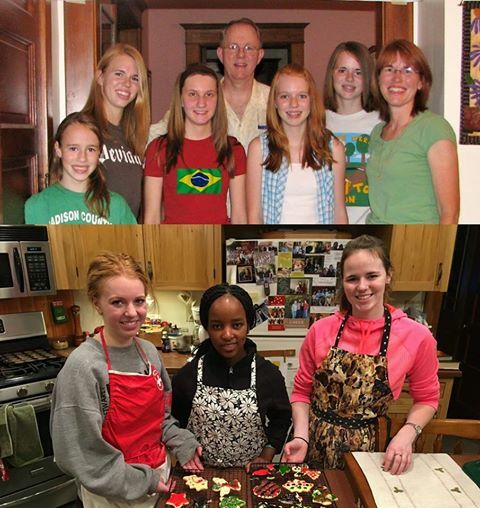 The Chris and Laura Bertelson Family with two of their recent exchange students. As the Bertelsons and many others know first hand, each student that comes to Winterset through the Rotary Exchange program is carefully selected. They are devoted students who have an interest in being immersed in American culture through school, travel, and everyday home and family life. They typically arrive in August and stay for nine to ten months, splitting their time among two to three families while they are here. The Winterset Rotary Club provides support for exchange students by paying for all their school-related expenses, as well as $75 per month for clothing and incidentals. Currently, the Winterset Rotary Club is seeking new families, couples or individuals that would be interested in hosting a male international exchange student during a portion of the 2017/18 school year. Time is of the essence! If you’ve ever considered it, now is the time to ask. All host families are screened and trained, and homes can be with or without children. 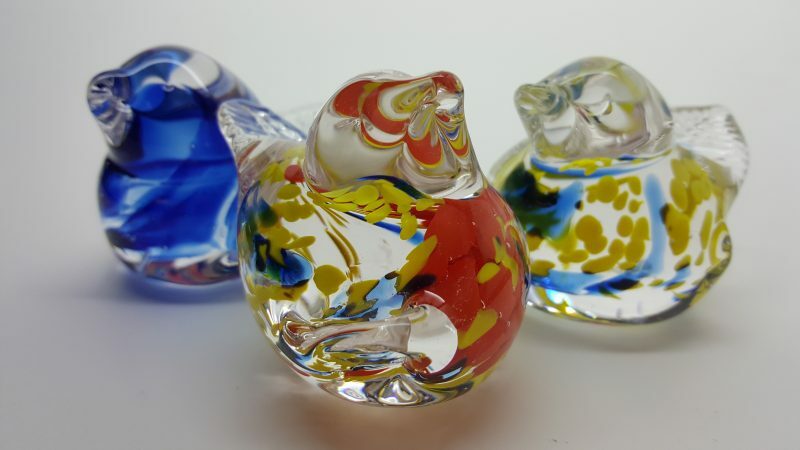 Empty-nesters make great host homes, also! To inquire, send a message to Winterset Rotary on Facebook, or email Chris Bertelson at chrisber@msn.com or Dan Nielsen at dnielsen@americanstatebank.com. Tonight is the first in a series of six Lenten fish fries at the St. Joseph Catholic Church parish hall, on Fridays from March 3rd to April 7th from 5:30 to 7:00 pm. The price is $9 for adults and $5 for kids (maximum $25 per family). The menu includes fried fish, baked fish, baked potatoes, french fries, cole slaw, green beans, corn, cheese pizza, macaroni and cheese, dinner rolls, beverages and dessert. All are welcome! 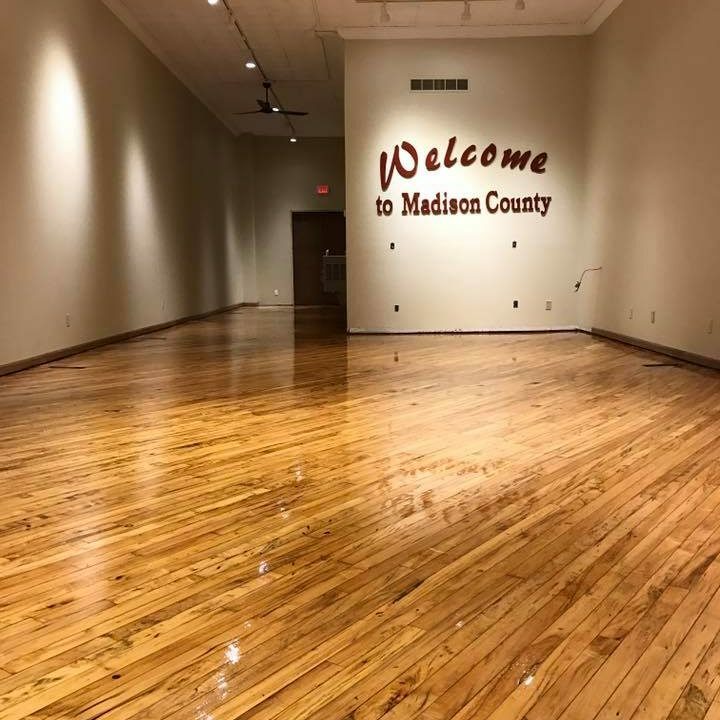 As you may know, the Madison County Chamber office at 73 Jefferson Street has been undergoing renovations in February, and is planning to re-open in mid March. Take a look at the beautiful makeover to the floors in their front reception area, done by Kuhns Flooring & Design! During this time of reorganization, Chamber staff members have been busy cleaning out the upper floor of their historic building. Piles were made to “keep”, “toss”, and “sell”, and the enormous “sell” pile contains everything from old photos, postcards and artwork to large pieces of office equipment that are no longer used or needed, but still in good working condition. 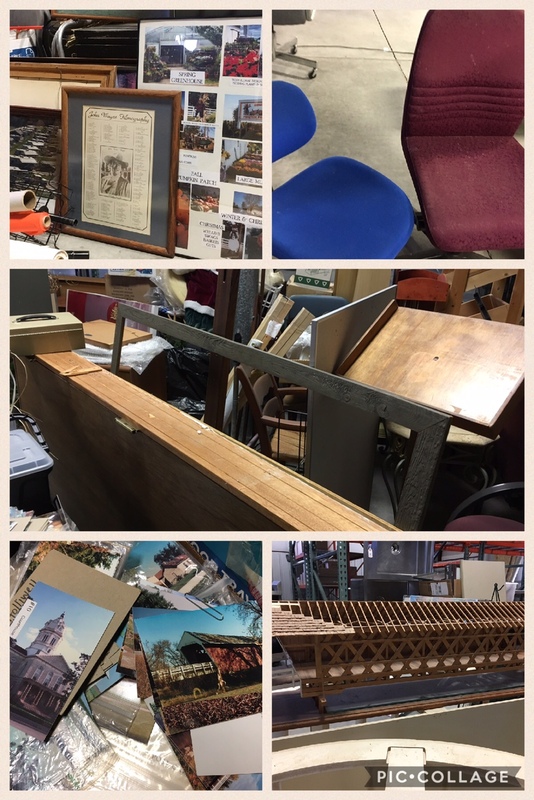 After many trips up and down the stairs, the whole lot has been moved to Rainbow International Restoration at 304 E. Madison Street (across from The Winterset Stage), for a huge garage sale this Saturday, March 4th, from 8:00 am to 1:00 pm. Many of the items will be unmarked — just make an offer, any offer, and they’ll be glad to send you home with a piece of the Chamber’s history. 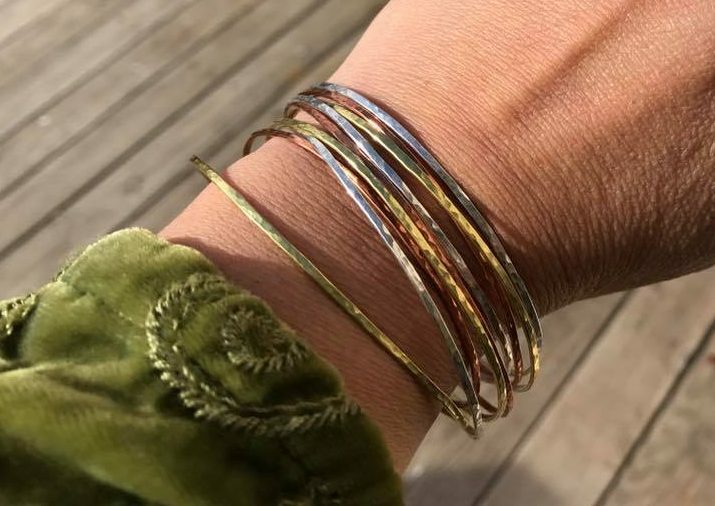 At First Avenue Collective, there are still a few spots open (last I heard) in the “Lucky 9 Bracelet Class” scheduled for this Saturday, 1:00 to 3:00 pm. Instructors are Sandra Geronimo and Gina Crow. 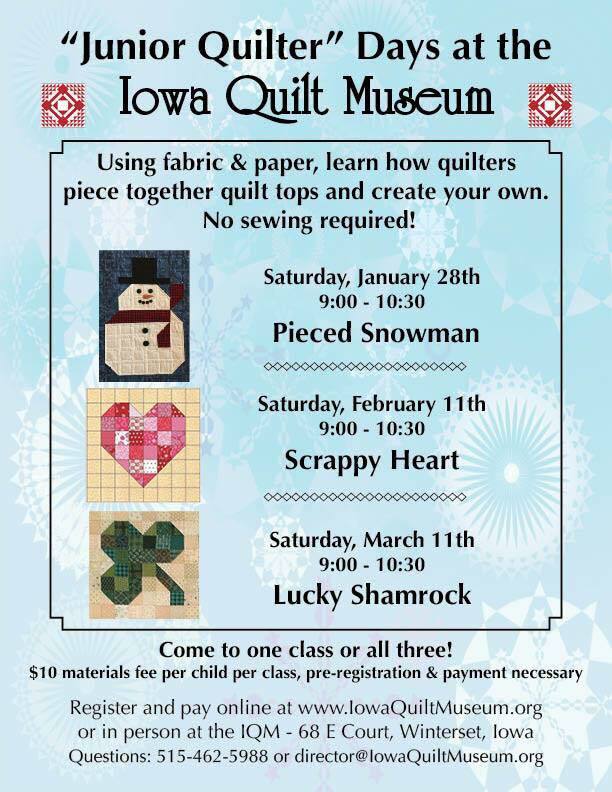 Call 515-505-4396 or stop by 1st Avenue Collective to reserve your space. 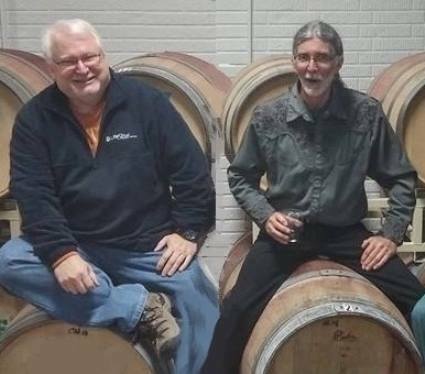 On Saturday evening, Snake & Crow (of iNFUZiON fame) will be at Covered Bridges Winery with live music from 7:00 to 10:00 pm. They play a wide variety of songs from the 60s and 70s: some rock, some country, some alternative country, some blues — just a little bit of everything. There’s a $5.00 cover at the door, and Up in Smoke Barbecue will be there offering food, starting at 6:00 pm. The Madison County Conservation Board is offering a traditional Hunter Education Course for the general public on Tuesday, March 7th and Thursday, March 9th from 6:30 pm to 9:30 pm at the Pammel Park Nature Center, 2510 Pammel Park Trail, and on Saturday, March 11th from 8:00 am to 12:00 pm at the Madison County Sportsmens Club, 4224 Cedar Bridge Road. The class includes three sessions, and all sessions must be attended to complete the class. Hunter Education is a mandatory program designed to introduce students to life-long skills that are important to many types of outdoor recreational opportunities. The course teaches basic survival and first aid skills, wildlife identification, the basics of wildlife management, and hunting laws and firearm/archery safety. 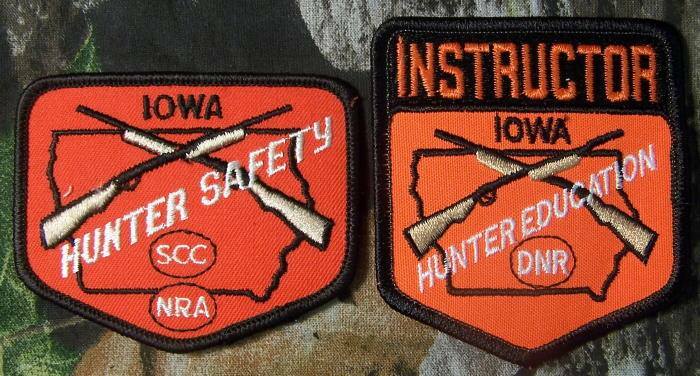 Hunter education also stresses the importance of individual responsibility and outdoor ethics. Iowa law requires that anyone born after January 1, 1972 must be certified in hunter education before they are eligible to purchase an Iowa hunting license. Step-by-step procedures for enrolling in the class can be found here. 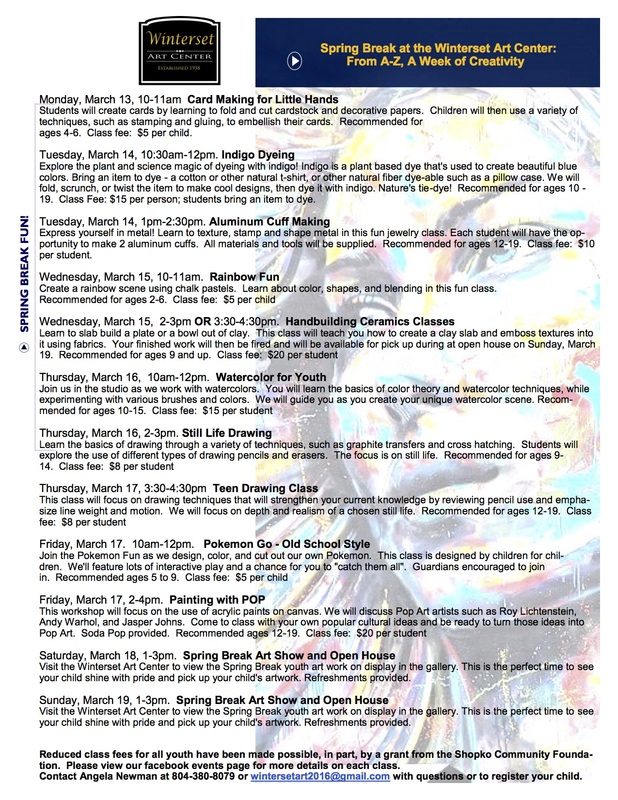 If you have additional questions, call Steve at 515-250-9233 or email spearson@madisoncountyparks.org. 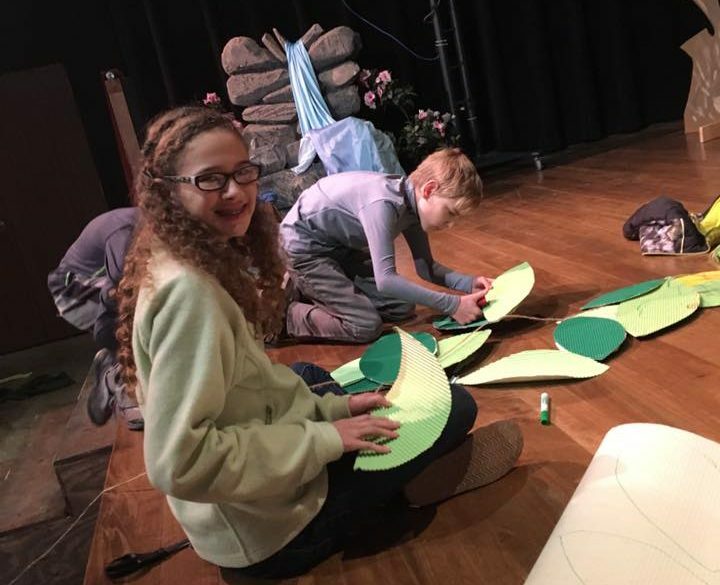 For the past 10 weeks, participants in The Winterset Stage’s 2017 Children’s Theater Class have been learning all about what it means to be a stage actor and preparing for all aspects of a production. Help them celebrate by attending their final performance of The Jungle Book on March 11th at 10:00 am at The Winterset Stage. The show is free and open to the public. 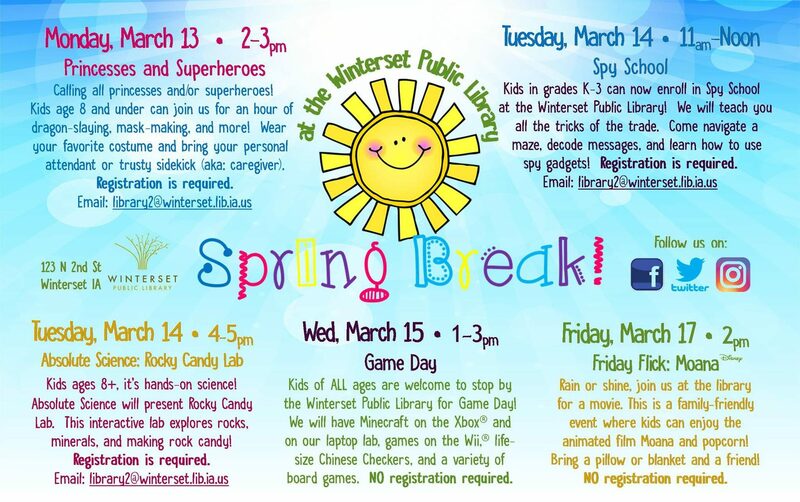 Spring Break Week for Winterset School District is March 13-17. 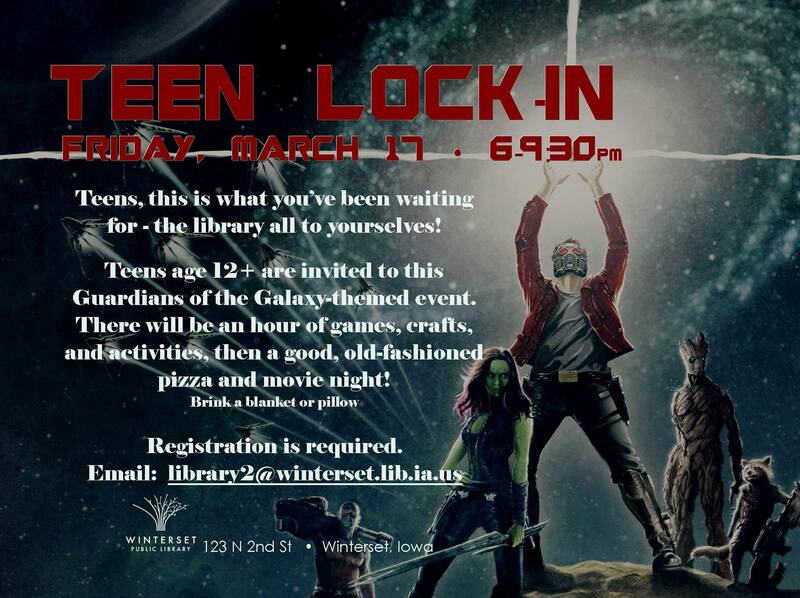 Several local organizations have planned some fun activities for students during that time, such as the Winterset Public Library and the Winterset Art Center. On Monday, March 13th from 5:00 to 6:30 pm, the Historical Society is hosting a “Preserving Our Past” Soup Supper Fundraiser to help restore the historic Fountain on the grounds of the Bevington Mansion. 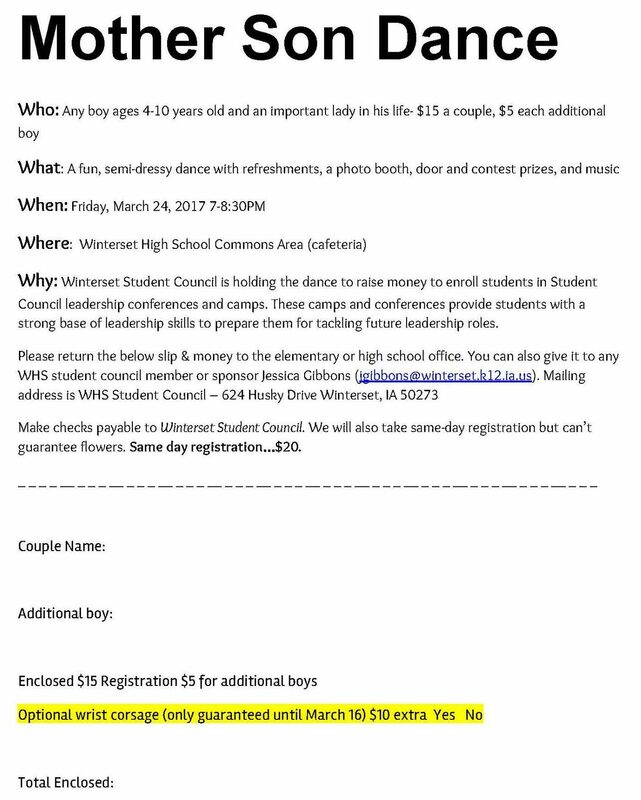 The cost is $5.00 per person. 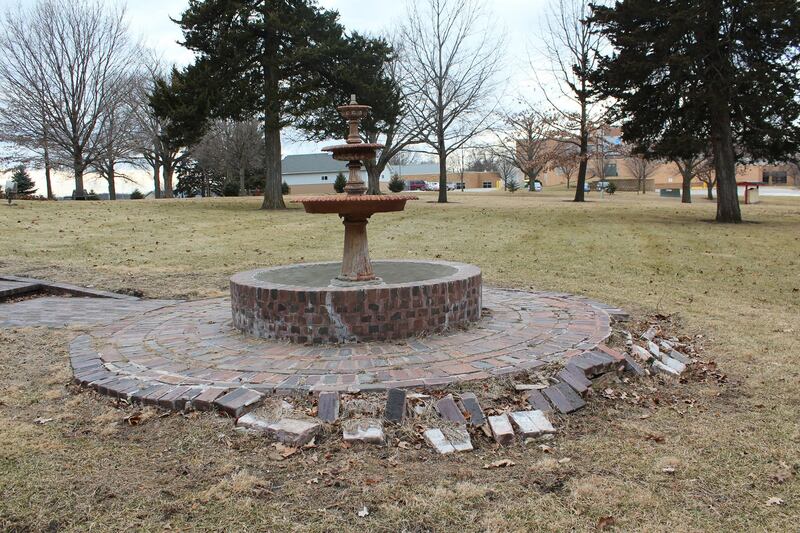 The fountain was orginally located in the Winterset City Park and was relocated to the Madison County Historical Complex in the 1980s. Due to vandalism and age, it is currently in need of repairs. To help by attending the soup supper, call 515-462-2134 for details or to purchase tickets. 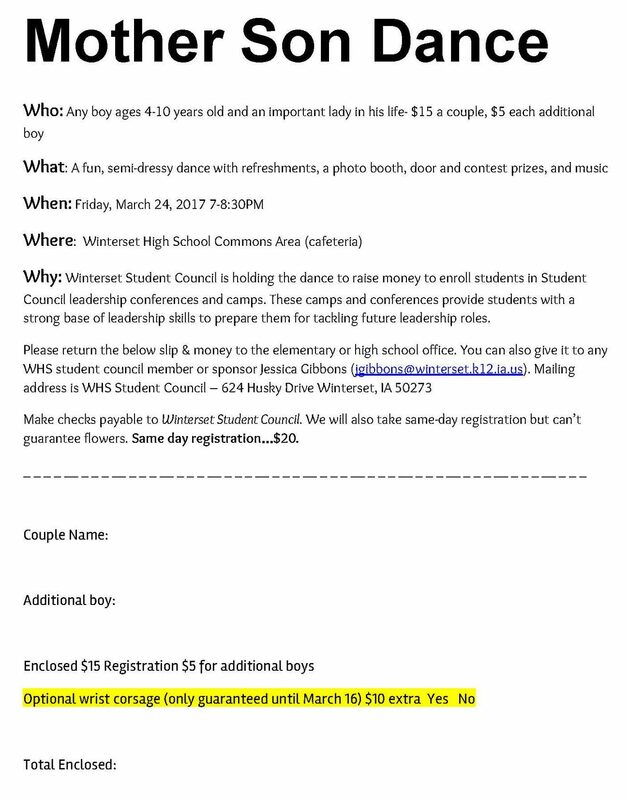 The Winterset High School Student Council is hosting a Mother Son Dance on March 24th from 7:00 to 8:30 pm in the WHS commons/cafeteria. Click here to download a copy of this sign-up form and return it to the mailing address listed on the form. 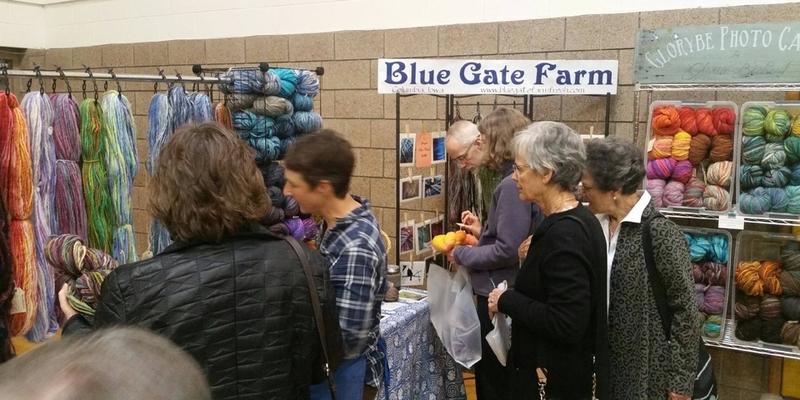 Heartland Fiber’s annual Fiberpalooza event will take place at the Winterset Elementary School gym on Saturday, March 18 from 9:00 am to 4:00 pm. Fiberpalooza is a full day of yarn and fiber, notions, food, classes, vendors, demonstrations and seminars for yarn enthusiasts and crafters. The entry fee is just $3.00! For more information about individual classes during the day, visit heartlandfiber.net/fiberpalooza/. Finally, a reminder that grant applications to the Greater Madison County Community Foundation are due on March 31st at 4:00 pm. If your organization is in need of funding for a project that will benefit the citizens of Madison County, be sure to visit www.madisoncountyfoundation.org and download an application today. $111,200 will be awarded in June of 2017.